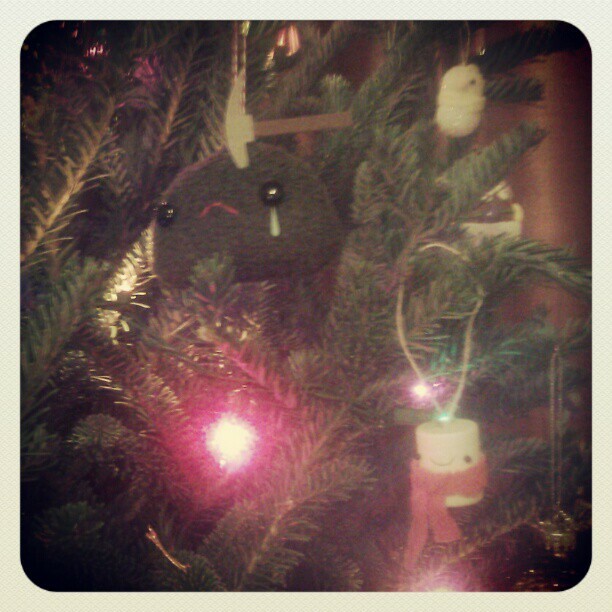 Ornaments on our tree by SteffBomb and Chet and Dot. Pre-weekend things: Ms. Mint’s Holiday Bazaar at Goose Island Clybourn was flipping amazing. Bought so many awesome gifts for others and a few for myself. Cookie Party. Weekend: Bazaar Bizarre Cleveland. Had a great time getting to know more about my friend Beth on the road trip. Stayed with Kate & Brian. Saw Z’s mom and aunt. Saw Marikka. Ate at MELT! Wishbone Letterpress: thrilling letterpress. One of the cutest and craftiest couples ever. I Heart Skeletons: Day of the Dead inspired art and jewelry. Bumbly’s: Sweet soap for your skin. I traded for ginger lime! This entry was posted in Rhymes with Twee Updates, Week Wrap by Leigh. Bookmark the permalink.